Please make sure that you have Configured the Photo Galleries properly. 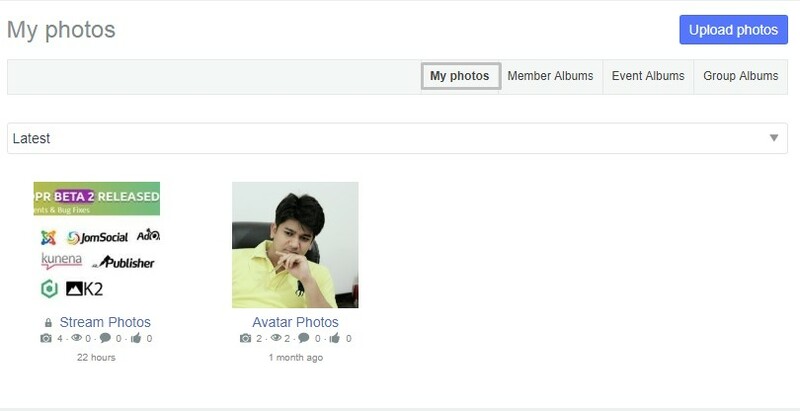 In JomSocial, albums can only be created from the Frontend of the site. There is no configuration or option to do this in the Backend. Login to the site and select the Photos menu from the Toolbar. The page with all of the albums of the user should then be shown. In this example, we are starting fresh so the user has no albums. 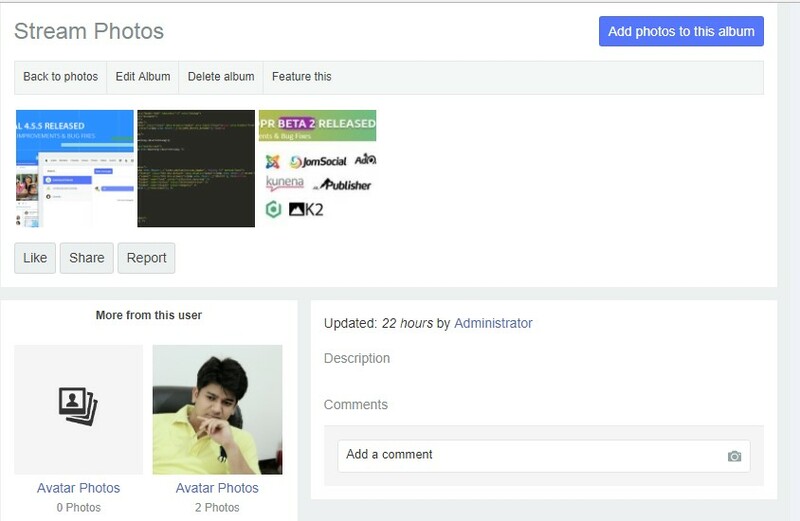 The Create New Album page is displayed and the user can create an album. Click Create Photo Album. 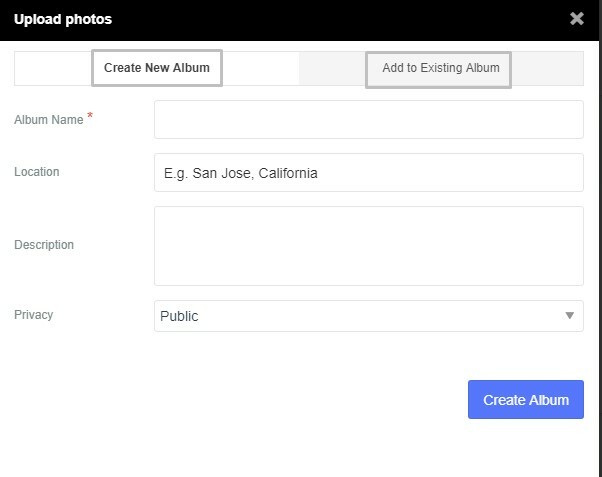 The Create New Album page allows you to set several, different options. Only the Album Name field is required; however, for better content searchability later, it is best to add a Description of the subjects in the photo and/or the circumstances surrounding the photo as well as the Location of where the photo had been taken. Privacy options are mandatory and the Album will use the ones that are set by default in the Backend privacy settings. Complete these fields and click Create Album. Congratulations!!! The album has been successfully created. The user can the begin Uploading Photos. Note: If you upload photos from Share Box, the default user album will automatically be created if it doesn't already exist.